Laid down, 13 July 1942, at Chicago Bridge and Iron Co., Seneca, IL. 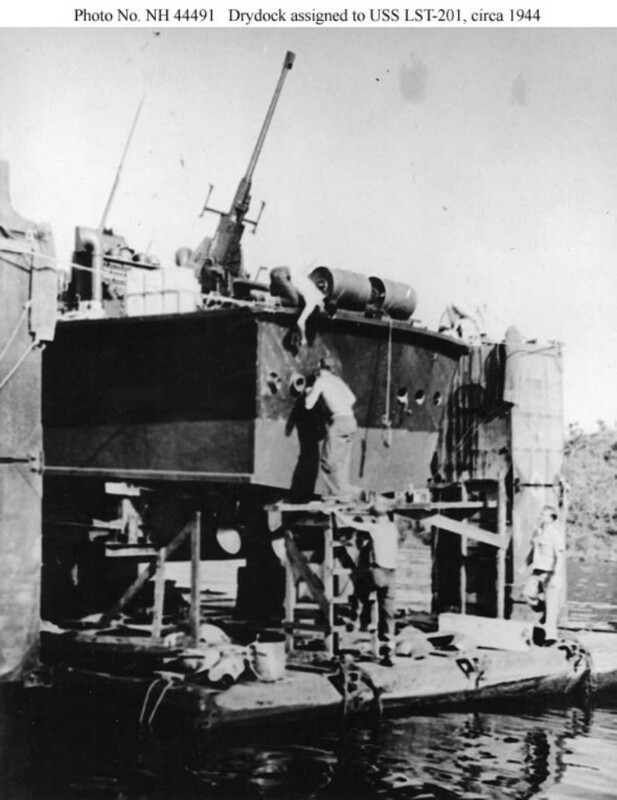 134k USS LST-201 repairing a PT boat in the Philippines circa 1944. LST-201, a PT-boat tender, towed a drydock wherever she went because she lacked an A-frame crane to lift the boats. She was later named and reclassified USS Pontus (AGP-20).